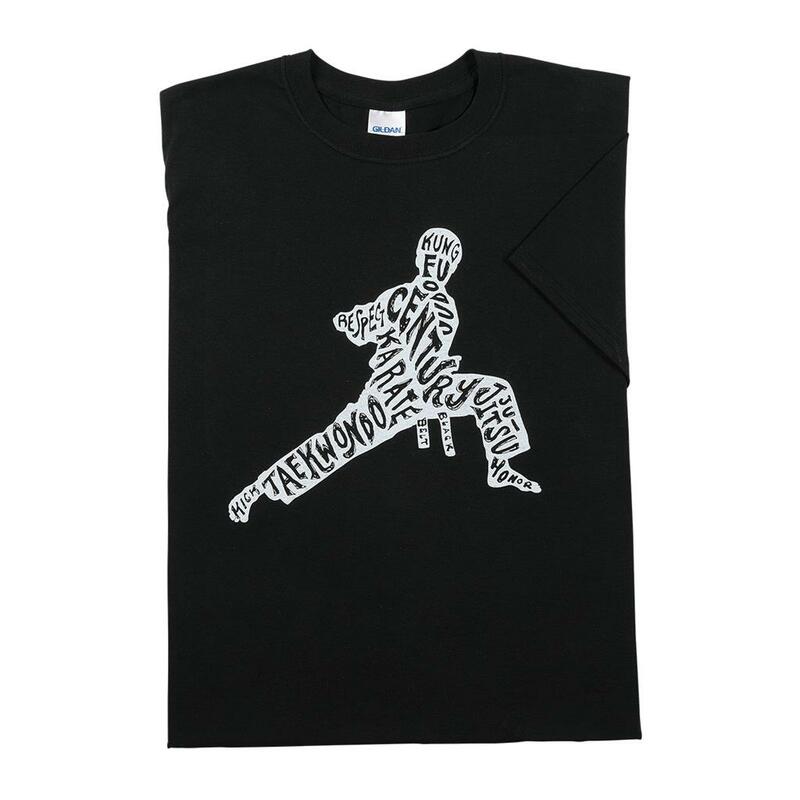 This shirt features a silhouette figure filled with martial art styles and words. 100 % cotton construction for comfort. See other products in the 'Ladies T-Shirts'category.